A normal front court set-up with offense and defense. The 5 perimeter players each have a ball. Defenders are in a soft zone 1-2 meters away from offense. • To start, Center Defender (CD) pushes down on the Center's (C) shoulders for: 45 sec, (this only happens before the first shot). • C and CD then face up with C back towards 1. • C then takes left arm and shoves it under the left armpit of the CD turning his back into the CD and immediately giving 2 quick breast stroke kicks to push CD back. 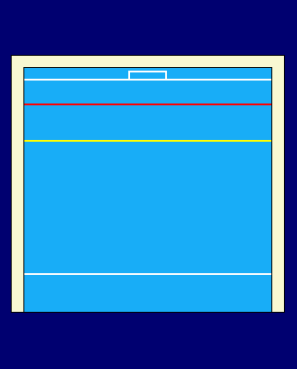 • As this is happening Player 1 is faking towards goal attacking in towards the X1 defender who is matching hands in a field block position, as C gets position facing 1, 1 enters the ball for a C shot. 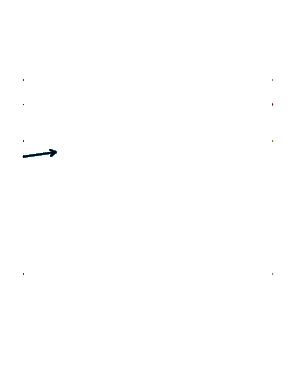 • C then resets face to face with the CD with C back towards 2 and repeats. • As the drill comes to 3, C has choice to go right arm under right armpit of CD or left arm under left armpit of CD. • For positions 4 and 5 C will go right arm under right armpit. Passers should be encouraged to be creative in trying to go around the blocker not just over the top. Centers should be encouraged to snap/step to the ball and try to get a quick shot. Drill can also be done where C is working for a quick turn.